Safety should be foremost in your mind when buying a new ute. After all, no matter how skilled a steerer or how vigilant you are, driving on our roads, at its most basic, is a highly risky game of dodgem cars played out in fast-moving two-tonne tanks. A vehicle’s ANCAP (Australasian New Car Assessment Program) rating is a great – but not perfect – guide to how safe it is. ANCAP ratings – in which cars are rated from one to five in terms of safety (five is the maximum rating) – are crash-test assessments, designed to simulate real situations, conducted in special facilities. ANCAP recommends five star rated cars. In 2017, a vehicle must score a minimum combined score of 32 out of 37 to be awarded a five-star ANCAP rating. This score takes into a vehicle’s performance in frontal offset, side impact and pole crash simulations. Minimum pedestrian and whiplash ratings are 'Acceptable' and 'Good' respectively. Mandatory SAT is ESC (Electronic Stability Control), 3PSB (Three-point seat belts for all forward-facing seats); HPT (Head-Protecting Technology; side airbags); SBR (Seat Belt Reminders) for all fixed seating positions; EBA (Emergency Brake Assist); and top tether anchorages for child restraints. The assumption that money buys you supreme safety isn't always true – the Amarok V6 Ultimate ($67,990 plus on-roads) has a five-star ANCAP (based on 2011 test results) but lacks side curtain airbags for back-seat passengers. Also, just because a vehicle is the most recent version of a model range does not guarantee top-level safety: the only upgraded LandCruiser 70 Series ute to get a five-star ANCAP rating is the single cab, cab chassis. Safety is a crucial business consideration for companies and fleet buyers – some of whom may only use single cab, cab chassis models – but, for the purpose of this yarn, we’re focusing on family-friendly dual cabs. Here are the top five safest utes, according to ANCAP scores. In August 2016 the Colorado scored 34.89 out of a possible 37 points in ANCAP testing. This score applies to all variants. It recorded 13.89 (frontal offset); 16 (side impact); 2 (out of 2) in the pole crash test; whiplash protection was 'Good' (the maximum), pedestrian protection was 'Good' and seat belt reminders scored 3 (out of 3). 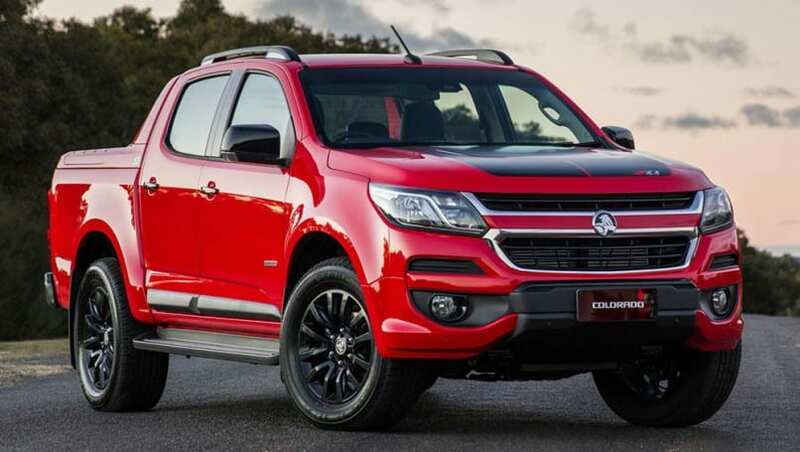 The dual cab Colorado’s standard safety gear (on all variants) includes six airbags, ESC, EBD, EBA, hill launch assist, roll stability system, manual speed limiting/alarm, daytime running lights and trailer stability control. Following-distance warning, lane support, reversing collision avoidance and a tyre-pressure monitoring system are available as standard or options on all variants except base models. Only crew cab (dual cab) models have top tether anchorages (three) for the rear seat, and there are three ISOFIX location points. We reckon the Colorado needs more driver-assist tech, such as adaptive cruise control, AEB, automatic/intelligent speed-limiting, automatic high beam, and blind-spot monitoring – none of these were available on any variant at the time of testing. The top-shelf Colorado dual cab Z71 4×4 auto is $54,490 (excluding on-road costs). In July 2015 the dual cab Navara scored 35.01 out of a possible 37 points in ANCAP testing (single and king cab Navara variants were awarded five-star ANCAP ratings in separate July 2015 tests. – scoring 34.01 and 35.01 points respectively). “Dual frontal, side chest and head-protecting airbags (curtains) and driver knee airbag are standard. EBD, ESC, and EBA are also standard. Advanced seat belt reminders are fitted to all seats,” ANCAP noted on the dual cab report. It scored 14.06 (frontal offset); 16 (side impact); 2 (out of 2) in the pole crash test; whiplash protection was 'Good' (the maximum), pedestrian protection was 'Marginal' and seat belt reminders scored 3 (out of 3). 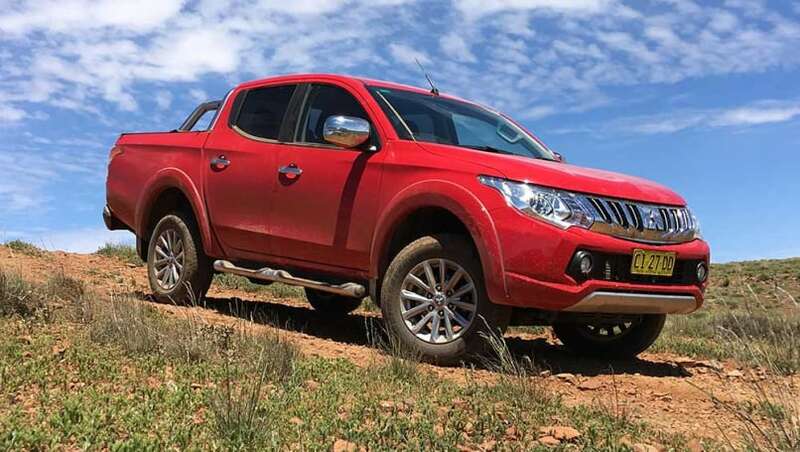 The Navara’s standard safety gear includes six airbags, traction control, Vehicle Dynamic Control (VDC) with Brake, Limited Slip Differential (LSD) and more. There are three top-tether anchorages for child restraints in the dual cab (second row), but no ISOFIX anchor points. An electronic diff lock is standard on SL, ST and ST-X 4x4s. Some models have reversing camera (ST and ST-X) and reversing sensors (ST-X) as standard; hill start assist, and hill descent control are only available on top-spec ST-X 4x4. We reckon, based on this report, the Navara needs more driver-assist tech, such as adaptive cruise control, AEB, lane support and a tyre-pressure monitoring system – none of these were available on any Navara variant at the time of testing in July 2015. 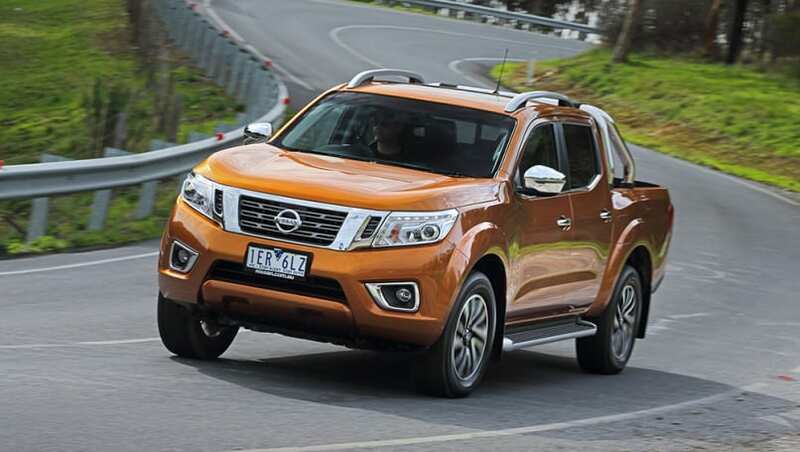 The range-topping Navara ST-X dual cab 4×4 auto is $54,490 (excluding on-road costs). In December 2011 ANCAP gave the BT-50 35.72 out of a possible 37 points. This score applies to all variants. The BT-50 scored 15.72 (frontal offset); 16 (side impact); 2 (out of 2) in the pole crash test; whiplash protection was 'Not Assessed', pedestrian protection was 'Not Assessed' and seat belt reminders scored 2 (out of 3). There are two top-tether child-restraint anchor points – not ISOFIX – in the second row. The current-model top-spec BT-50 GT dual cab ($53,790, excluding on-road costs) has a standard safety gear list that includes six airbags, reversing camera, ESC, EBA, emergency stop signal, high mount stop lamp, hill descent control, hill launch assist, intrusion-minimising brake pedal, load adaptive control, locking rear differential, Roll Stability Control (RSC), traction control, and trailer sway control. We reckon there needs to be more high-tech safety gear as standard across the range. In April 2015 the Triton scored of 36.22 out of a possible 37 points in ANCAP testing. This score applies to all variants. It recorded 15.22 (frontal offset); 16 (side impact); 2 (out of 2) in the pole crash test; whiplash protection was 'Good' (the maximum), pedestrian protection was 'Acceptable' and seat belt reminders scored 3 (out of 3). The Triton’s safety gear includes six airbags, active stability control, active traction control, hill launch assist, trailer stability control – as well as reversing collision avoidance and daytime running lights (both standard or optional on everything except the base model). There are two child-restraint anchoring points and two ISOFIX child-seat mountings. We reckon it needs more driver assist tech, such as AEB, lane support and a tyre-pressure monitoring system – none of these are currently available on any Triton variant. Top-spec Exceed dual cab 4×4 auto is $48,000 (excluding on-road costs). It continues to top the sales charts because it’s a good-looking ute and it’s great to drive – it’s also quite safe. Dual front, side chest and side head airbags are standard on all variants. Electronic Brakeforce Distribution (EBD) and ESC are also standard. Several advanced safety features are available on higher-priced variants. In September 2015 ANCAP gave the Ranger a score of 36.72 out of a possible 37 points. This score applies to all variants. It recorded 15.72 (out of a possible 16) in the frontal offset test; 16 (out of 16) in the side impact test; 2 (out of 2) in the pole test; whiplash protection was deemed 'Good' (the maximum), pedestrian protection was 'Acceptable' and seat belt reminders scored 3 (out of 3). The extensive list of other safety features includes traction control, six airbags, emergency stop signal, cruise control, adjustable speed limiter, hill-start assist, hill descent control, and trailer sway control. Bluetooth-activated emergency assistance is standard on all models and extra safety tech, such as a tyre-pressure-monitoring system, adaptive cruise control with forward collision alert, lane departure warning, lane-keep assist and driver-impairment monitor is not available on base models but is standard or optional on higher variants. There are two child seat upper anchorage points in all models (except the single cabs), and there are two ISOFIX anchor points. 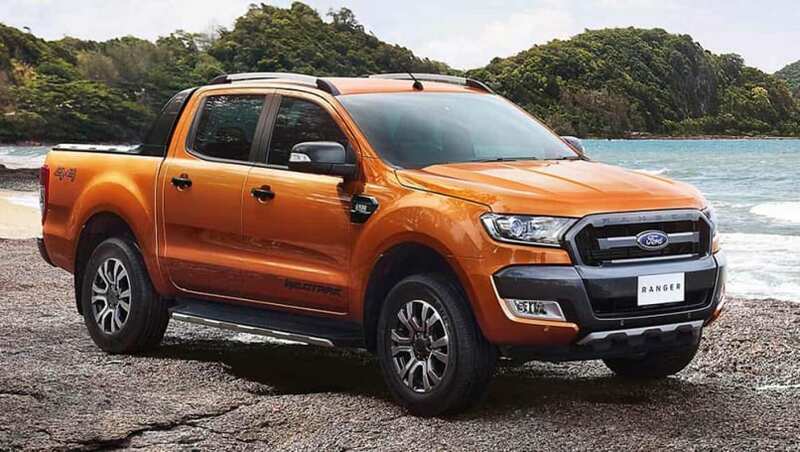 The Wildtrak (from $60,090 for the auto, excluding on-roads) is the pick of the bunch because you get a raft of safety tech, including a reversing camera as standard, and can option up to the advanced tech mentioned above as part of its 'Tech Pack'.